We have selected 2 models of brushes for computers and electronic devices: one compact and foldable computer brush intended for the draw of your desk or the computer case, and a large computer brush intended for high-yielding dusting and demanding housewives. they are perfect for computers, laptops, tablets, printers, television screens, hifi and video equipment. In short, intended to dust any object you are afraid to scratch. 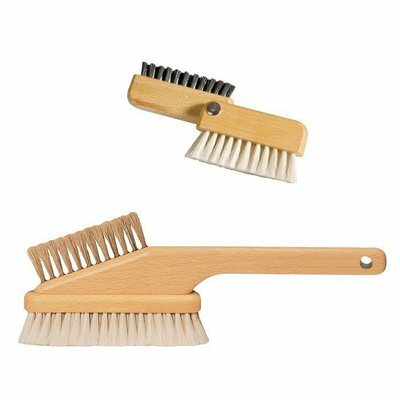 Light and compact, this foldable brush can easily be stored in the computer case or in the draw of your desk. Perfect for last minute light dusting before launching into a client presentation, it unfolds in a blink of an eye. 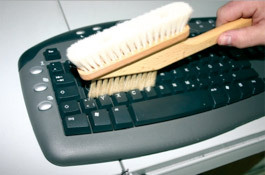 Equipped with a long handle and a large soft brush (surface area of 3x14cm), here is the vital tool for geeks who accumulate electronic and computer equipment whilst making no concessions with regards to cleanliness. Who has not already noticed that electronic devices, especially screens but also hardware peripherals and hifi/video equipment, attract more dust than non electric objects? The fact is these electronic devices, in order to function, create movements of electrons that charge these same electrons positively or negatively. Dust also gets charged positively or negatively. And since nature likes balance, a negatively charged object will attract positively charged dust and vice versa. Consequently: our so elegantly designed computer and electronic devices accumulate dust at great speed, and the lady of the house quickly calls your superb giant screen a dust catcher. Worse, when you rub an object with a duster or a cloth, you modify these charges: even if the matter (the atom) is initially electrically neutral (the nucleus is positively charged and the electrons gravitating around it negatively), the friction between two materials leads to a charge transfer from one material to the other, the electrons at the periphery of atoms somehow being pulled out and attracted by the other material. When you separate the duster or cloth from the object, you leave it positively or negatively charged, thus reinforcing its power to attract dust. This is what is called static electricity. When you want to dust objects that by nature already tend to get charged with static electricity, you might as well avoid using a duster or cloth likely to create even more. 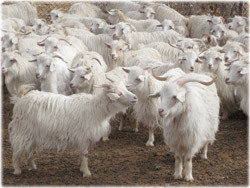 This where the goat comes in, particularly the Chinese angora goat, that as well as delivering to mankind soft and very flexible hair (that does not scratch) with antistatic benefits also has its belly sheared in order to make the cashmere jumpers that keep us so warm in winter. traditional quality and modern functionality - German design and manufacture, on models that have been tested for more than half a century. The only Chinese item in this product is the goat that gave its hair! 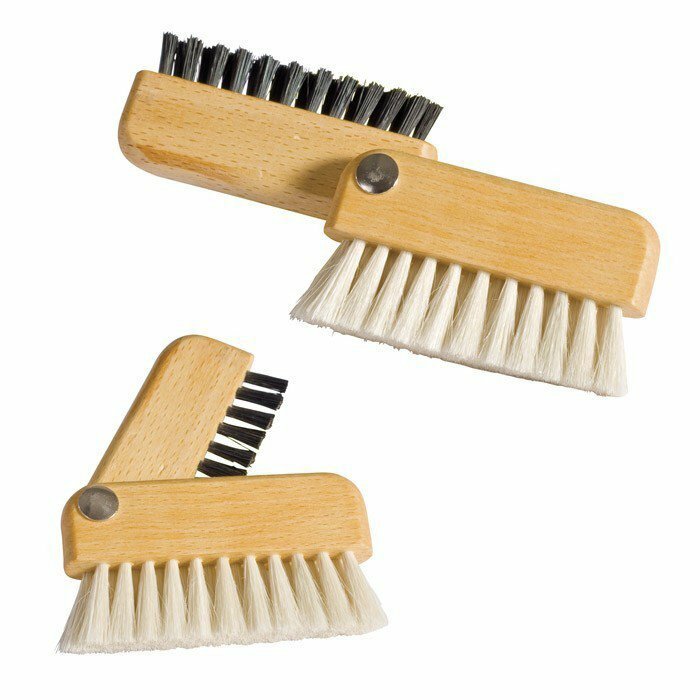 optimal functionality - when Redecker create brushes, they do it with passion and excellence: just try the computer brush, and you will love it.